Gandapur is a Pashtun tribe of Ushtarani extraction. Ushtaranis allege themselves to be descended from the famous saint Sayyid Muhammad Gaisu Daraz by one of his Sherani Pashtun wives. Ushtarani had five sons, of whom the descendants of four (Tarri or Gandapur, Sheikhi, Mareri and Umra) are collectively known as Gandapur, while those of the fifth, Hamar, are alone known as Ushtarani. Grandchildren of Gaisu Daraz were raised by their maternal grandfathers. It is, however, very doubtful that Gesu-daraz had any relationship to any Pashtun tribe, including the Gandapur. Gandapurs were originally a pawandah and pastoral tribe. When they settled down in Daman, they began to give up their periodical migrations westward, and their commerce with the countries in that directions but even in late 19th century, a few persons of each clan of Gandapurs followed commercial pursuits, and joined the pawandahs in their migrations, and resorted to Kabul, Kandahar and other cities . 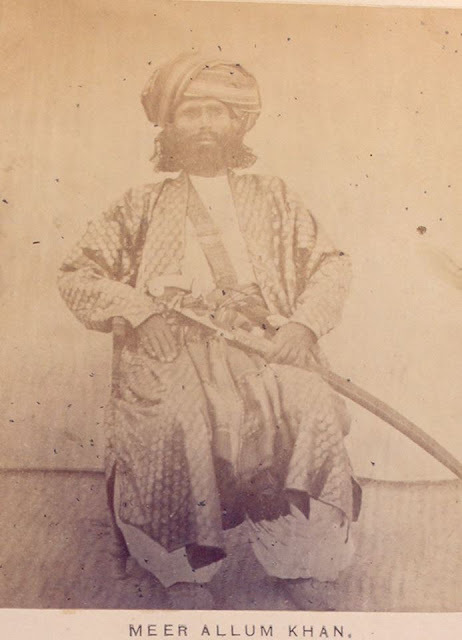 Mir Alam Khan, a Gandapur chieftain, 1868. From Watson and Kaye collection. 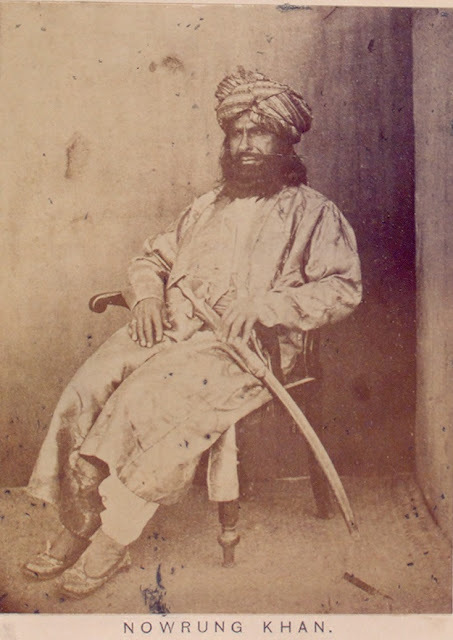 Nowrung Khan Gandapur, 1868. From Watson and Kaye collection.